Order here for the United States! Order here for the UK & Europe! 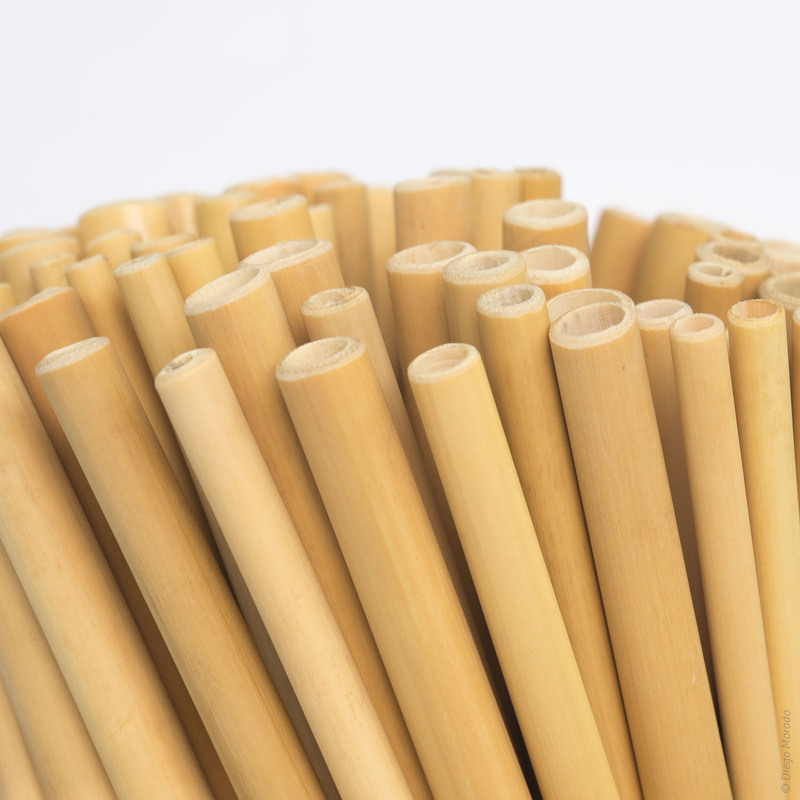 We make our lovely straw using bamboo, it is the strongest and most sustainable plant in the world! It grows so fast, up to almost 1 meter a day for the fastest, that’s it’s the perfect sustainable option for the planet. Of course our packaging is also eco-friendly as it’s made from recycled paper! They come in pack of 12 with assorted size and we sanitize them by steaming them for 20 minutes! No plastic, no pesticides, 100% natural and organic bamboo grown in Bali and crafted by local balinese artisans. A great organic and natural alternative to plastic straws. Be nice to your straw! – To disinfect after use: boil with vinegar and water (ratio of 1 of vinegar to 20 of water) for 10 minutes. Convinced by our bamboo straws ? Order them from our website and discover our other products! They come in pack of 12 units and we give you 100% money back guarantee in case you don’t like them! If you would like to order bigger quantity, no problem, just contact us with the form below! Get 2 cleaners and a cute pouch to carry your straws and be plastic straws free! A cool gift for your eco friends! Our pack comes with 2 cleaning brush, 1 cotton ouch and a recycled packaging! Bar or restaurant owner? Personalize your straws! As good as Bamboo Straws can be! We offer laser engraving, contact us for more info! We offer large quantities for professionals, get in touch with us! One of our straw enjoying sightseeing in a Bali temple. She loved it! You’re gonna own Instagram with the eco-friendly straws! Packages comes different straw size, perfect from smoothie to cocktails! We answer every email in less than 24 hours, so if you don’t see any reply, check your spam box, thanks!